It’s a little hard to come by any reliable information about the latest iteration of Top Gear before it airs. On the one hand, you have the British tabloids, who seem to have a rabid and unusual desire to take the show down. On the other hand, you have the BBC, which says that everything is perfect all the time always THANK YOU. But now, via The Guardian, we may have some answers. There’s been this weird, long-running narrative that TG’s main host Chris Evans is some sort of arrogant, megalomaniacal tyrant – something not entirely helped by the marketing of the show, which places him front and center in much of the posters. 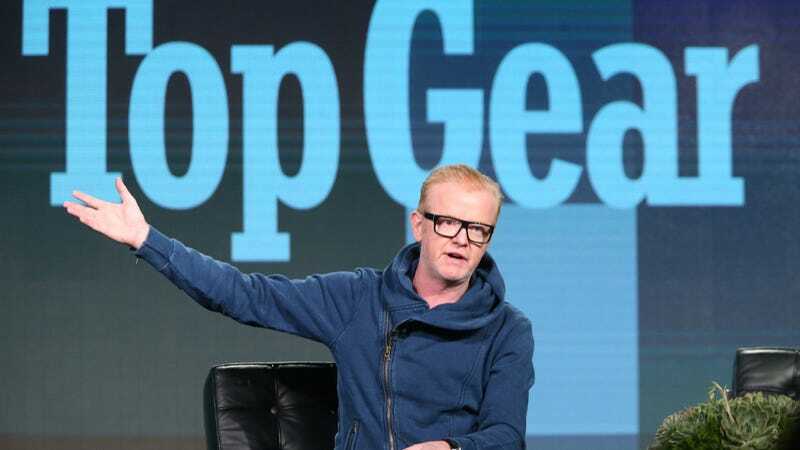 Chris Evans opened a recording of the long-awaited first episode of the new series of Top Gear by telling the audience at Dunsfold Aerodrome in Surrey last week that he was nervous. “Shitting” himself in fact. Of course, what followed wasn’t a constant, lovely stream of self-deprecation and good-natured banter for the next hour, with everything all wrapped up nice and neat with a bow. But that’s to be expected. Television is hard, even when you have a cast and crew that’s been together for more than ten years and functions like a well-oiled machine. The Guardian report notes that even the original crew of Clarkson, Hammond, and May would sometimes spend more than four hours putting the studio segments together, making sure each carefully-staged “spontaneous” witticism landed just so, making sure the audience laughed just hard enough. Where others described a “four-letter rant” I heard someone joking. Neither did I see people walking out of the show until the end. But the Guardian report is also telling in what it doesn’t say. There’s nothing about the other co-hosts of the show – Sabine Schmitz, Rory Reid, Eddie Jordan, or Chris Harris. One of the best parts of the studio segments was seeing the hosts interact on camera together, in episodes when they were all off doing their own things. Sure, the Top Gear stage is supposed to be more crowded now. But where is everyone? I guess we’ll have to wait until Monday night to see, when the new show debuts in the United States.